← Cheers for a Playful 2014! Do you remember when I started this quilt last July? I have been working on it every single evening, especially over the last month since I arrived at our new home. And now for the treasure! This is the sewing cabinet that belonged to Kelly’s maternal grandmother, Annas Manson. We have had it for a few years, but it was sort of “in storage” in the family room, and I never actually looked through it (because it was a big junky mess). I wish I had taken a picture before I cleaned it up. Look at the treasure that was buried amongst the junk! Beautiful, beautiful vintage buttons. Jack pot! Did I actually say that? Yes, I did. And I said it with the utmost respect for Annas, who was also a sewer. I like to think that she would be pleased that I am so pleased. 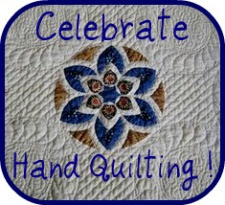 This entry was posted in Beauty, life, Quilts, sewing, Stitches and tagged buttons, hexagon, hexagon quilt, sewing, sewing cabinet, sewing room, treasure. Bookmark the permalink. I have a sewing cabinet just like this one. Since I bought it at an estate sale so I know nothing about it. Would love to know about it. Your hexie project looks great. I like your colors and fabrics. Lovely hexies, and a lovely sewing cabinet. I love old buttons and thing. Lucky you. Beautiful hexies and what a treasure your cabinet is! Such a fresh and colorful hexie quilt. Coming along beautifully, and what treasure! Thanks for linking to Hexie Weekend! I love it all! The quilt is turning out so beautifully and wow, treasure is definitely the right word for that sewing cabinet and contents. Love, love, love the buttons! Hexagon quilts are my favourites and I love yours. Love that green. What a great treasure it will be. I am sure Annas would be thrilled that her beautiful cabinet was being put to good use. Your hexis are beautiful! I love the colors. I’ve always thought that the buttons we collect create a sort of signature. I have buttons from my mother and my mother-in-law and the collections are vastly different and both are different from the buttons I’ve collected on my own. I don’t use many of the oldies but I sure like having them.